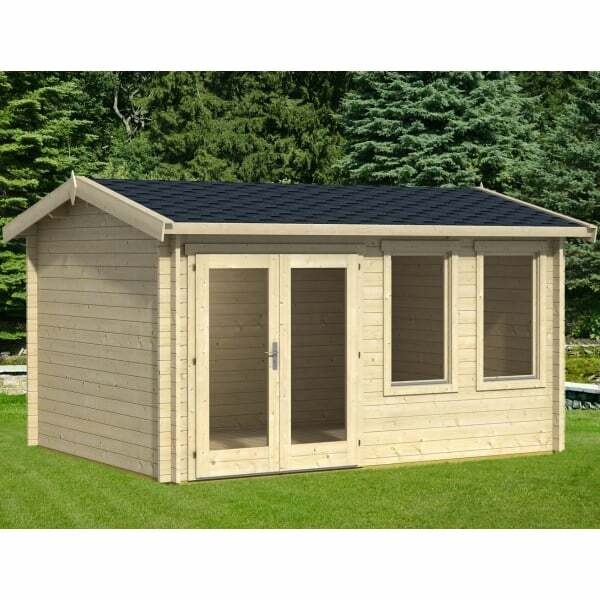 Norland Leyton Log Cabin: The Norland Leyton Log Cabin features an off-set Double door in Front Wall. The Log Cabin can be built in Mirror so that the Door is offset either to the right or to the left with windows exchanging position correspondingly. This allows for really efficient use of space inside the cabin and means that you can position a table or another piece of furniture next to the front wall. The Leyton features our Norland Chalet Cut Corner joints for superb weather resistance.